Diverse cultures, authentic art and vibrant traditions have shaped the centuries-old story of Albuquerque, New Mexico. Restaurant meals, wine tasting, beer making, farmers markets, cooking classes, tequila sampling and more come together to create a distinctive New Mexican cuisine that keeps people coming back. The flavors of red and green chiles permeate all types of dishes from traditional enchiladas and tamales to non-traditional pizza, chocolate and even beer. Now you can win a trip to indulge in all of these tastes for yourself. Enter online before September 30 at www.ItsATrip.org/foodtrip to win this special getaway. Drawing will be held on October 3. Enjoy a three-night stay at Los Poblanos Historic Inn & Cultural Center, a quaint inn with an organic farm, six acres of formal gardens, lavender farm, art gallery and cultural center. 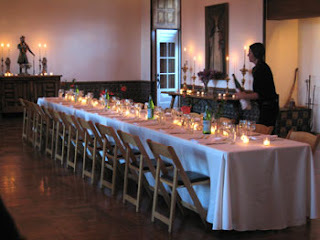 The winner will also receive Los Poblanos recipe cards, a cookbook, culinary lavender and a private tour of the grounds. A day in Historic Old Town where you can explore shops, galleries and restaurants including The Candy Lady, which features unique New Mexican candy selections and Golden Crown Panderia where you can sample biscochitos, New Mexico’s state cookie or taste fresh baked pizza with a green chile or blue corn crust.